Hanson Law Office provides legal representation to those involved in accidents that lead to life-altering, debilitating injury. Attorney Robert W. Hanson works with those in Albertville, Alabama, and Marshall, DeKalb, Jackson and Etowah counties and takes injury cases caused by truck accidents, auto accidents and medical malpractice. He also accepts cases of criminal defense for those who face criminal charges. Mr. Hanson, a combat veteran of the Vietnam War, focuses on honesty and integrity and uses all his experience as he practices in state and federal courts. 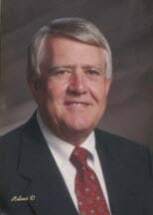 The rights of his clients are always his top priority, and he has been successfully representing the people of Albertville for almost 50 years. For his high ethical standards and long list of successful results, he holds the highest peer rating possible, AV Preeminent,* from Martindale-Hubbell. Along with personal injury and criminal DUI cases, Hanson Law Office represents clients in cases of divorce, commercial law, probate and estate matters, and agribusiness. Clients can visit the office for a free consultation, and the law office is happy to accept credit card payments to provide additional flexibility for those who are already facing difficult life challenges. Mr. Hanson takes pride in his accessibility and open communication as he protects the best interests of clients. Those who have been injured at the hands of another often face distressing financial issues, and his goal is to obtain compensation to provide for property repair, loss of income, medical bills and other injury-related costs.